Once you click on the “Edit Template” the Template Editor will open. (See Below Screenshot). In the Template Editor, there are 3 sections. 1. Files 2. Modified File 3. Original File. Under Files, you can see the “+” symbol. Click on the “+” to expand the file list. Here you can see different types of file categories including, CSS, HTML, Fonts, js, Images etc. There two types of files, one which you can edit and the one which is not editable. The files which are editable are hyperlinked. When you click on these files it will open in “Modified File” section. Here you can make the necessary changes to the file and then click on “Save”. If you have made any changes to a file by mistake, then click on the “Original File” and compare it with the “Modified File” to know what changes you have made. If you want to revert the changes you have made, then simply copy the original file and paste it in the modified file section and click on "Save'. Note: You cannot make any changes to the Original File. You can make changes to any single HTML or CSS file through Template Editor. After making necessary changes just click on “Save”. Note: If you want to know more about how to edit different sections of a template then please visit our BYOD developer docs. If you want to delete a file in the Template Editor, then click on the trashcan icon on the left hand side of the file. A dialog box will open with “Yes” and “Cancel” option. Click on “Yes” to delete the file. 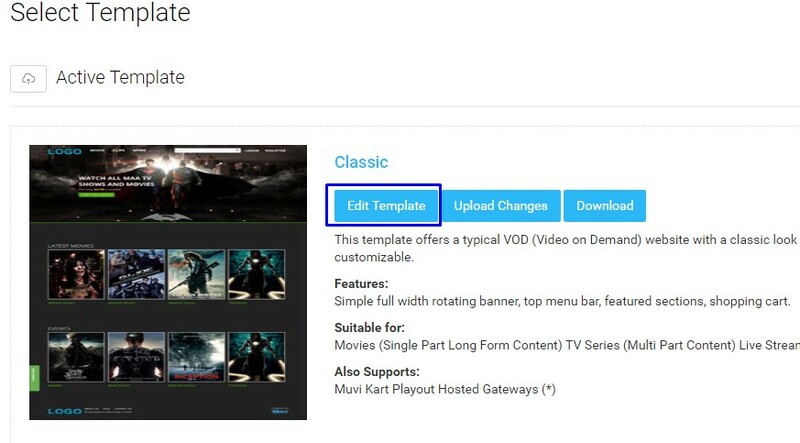 In this process you need to download the template folder from your CMS and upload it again after making the necessary changes to the template files. 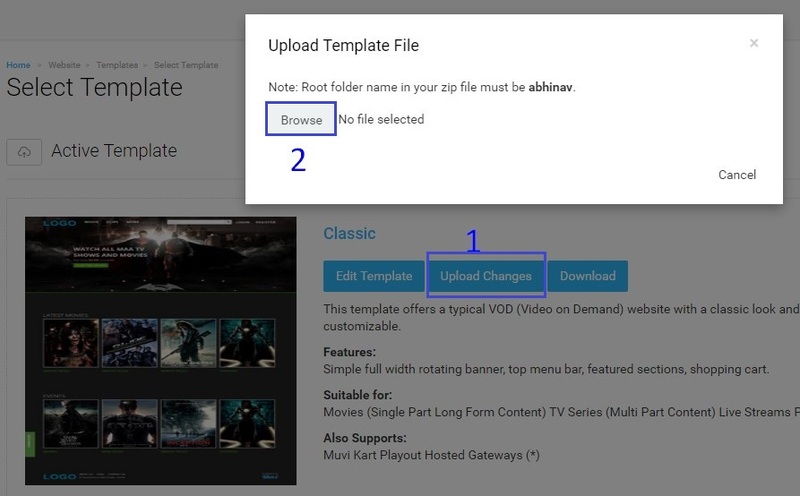 Once you click on Download the template file will be downloaded to your computer in Zip format. After you finish your editing the template files and converting the folder to Zip format, you need to upload the zip folder. Click on “Preview Website” in your CMS to see the effect of the changes you have made to the template files. Note: By using the BYOD method you can also make changes to any single HTML or CSS file. You can also edit your template with Visual Designer (Currently, this feature is only available in "Revo Template"). You don’t need to type any code to modify your template. Simply click on a specific section of your template (i.e. Header, Footer, Menu, Featured Section, Logo) to change its color (Background/Foreground), layout, style etc. To know how to edit your template using Visual Designer, please Click Here. As per your requirement, our design team can also create a custom template for you. Please Add a Support Ticket to request a custom template.